Okay, so here is an easy recipe for you all. I absolutely love this one. 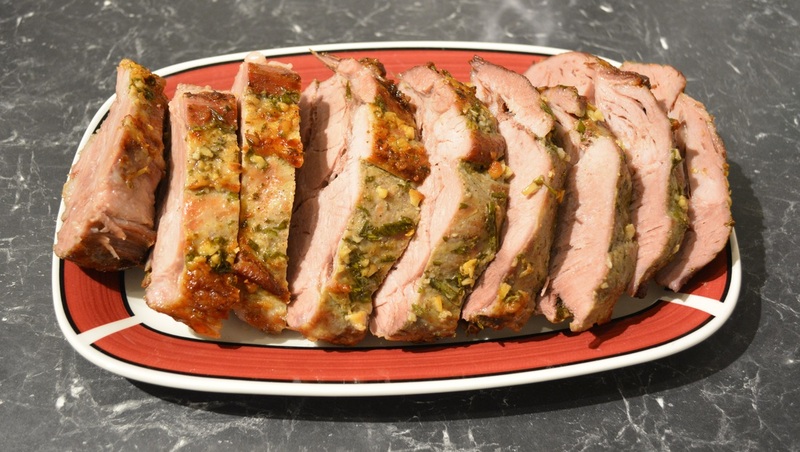 This roast pork is so full of flavour, very moist and is one of the easiest dinners you will ever prepare. I love baked dinners as after a little preparation, you get to just chill and let it cook, it is great on days when I have to go and get the kids from dancing or karate and I have to be in and out of the house when it is time to cook dinner. With this dinner you put it in the oven and you have 2 hours to get everything else done. Once a week my daughter finishes dancing at 8pm, so this is great on nights like that as you don't want to start cooking at 8pm, you just want to serve dinner as soon as she gets in, as it is so late. We are a family that waits for everyone to get home before we eat, most dinners are around 6:30pm. In the 15 years I have been married, we always wait. Dinner is always at the dining table, and we always eat together, this is something my mum did with us, and I now do it with my family. I have made this in both an electric and a gas oven, both cooked the pork well, but I found in the gas oven I had to top up the water in the baking dish as it evaporates very quickly as it cooks from the bottom, whilst the electric oven it baked from beginning to end with the liquid you initially put in. So keep an eye on that if you have a gas oven. 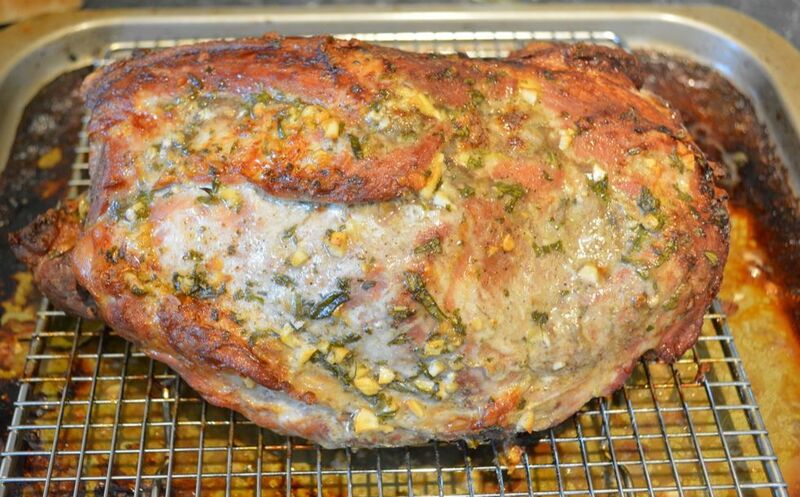 The original recipe baked a 1.5kg pork neck for one and a half hours. My pork neck was 2.4kg so I baked it for 2 hours, so use that as your guide when baking. Also if by chance you slice your pork and it is slightly undercooked, place it bake in the oven sliced for a few minutes if needed. Also the original recipe ties the pork up at 3cm intervals with kitchen string. If you want you can do that, do it, but truthfully I don't bother with that. So if you are looking for an easy, tasty dinner idea, here is one for you, give it a try and let me know how you go. Season the whole pork neck with salt and white pepper. Now you need to season it well as the salt and pepper is only on the surface. Combine garlic, rosemary and the oil in a small bowl. Rub the garlic mixture all over the pork neck. 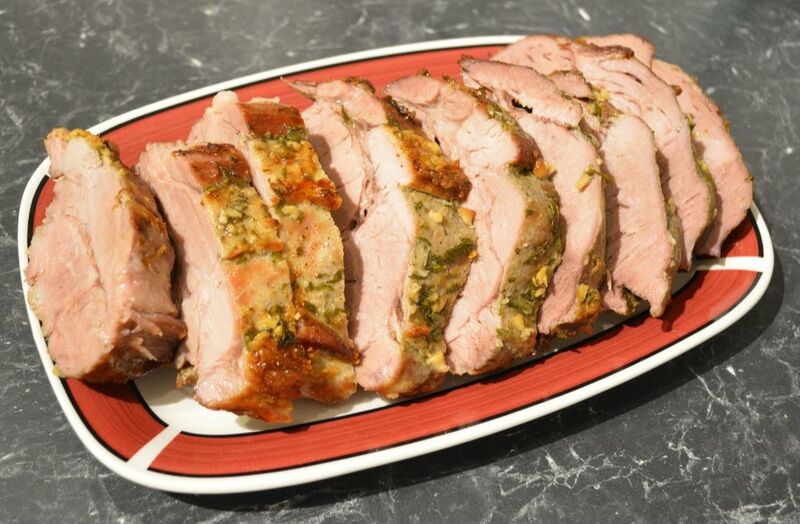 Place the pork on a wire rack in a baking dish. To the baking dish add the bay leaves, vinegar and water. Roast pork for about 2 hours, or until cooked through. Cover pork, loosely, with foil, stand for 10 minutes before slicing.